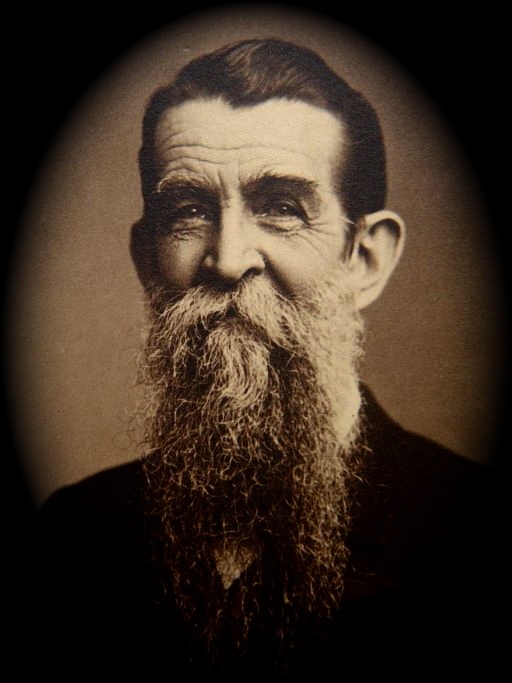 This letter was written by Benjamin Wright (1834-1913) of Co. I, 10th Connecticut. He was from Greenwich, Connecticut. 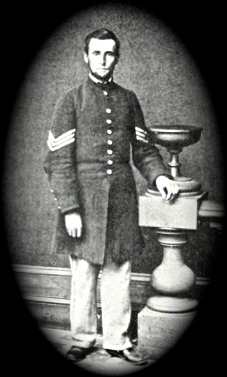 Mustered in September 1861 as sergeant. Promoted to 2nd Lieut. 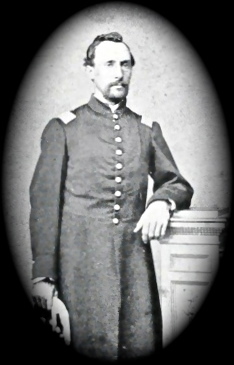 January 8, 1863; 1st Lieut. June 6, 1864; and mustered out 17 October 1864. We are still here with no orders to move. No boat has arrived as yet. Today it is somewhat stormy and I hardly think we shall get any. Just before dark last night some of the Mass. Cavalry came in from Picolata — 206 horses and about 80 men — the rest of the men have gone North as Veterans. They were ordered to report to Col. [Guy Vernor] Henry of the 40th Massachusetts who they expected to find here with his Light Brigade. What they are coming here for we don’t know. They report our forces evacuating Picolata. It is pretty rough on those people who have been invited to come in and who have been promised protection to be thus left to the tender mercies of the Rebs. It is about time, I think, that such things were played out in Florida. I don’t think, however, we shall evacuate Jacksonville. Our gun boats probably will still patrol the [St. Johns] River so that those living on this side of the river will be safe. I think very probably some cavalry will be kept here to scout through the country between here and the river. I think we shall probably get orders by the first boat. I don’t care how soon they coming. Being in such suspense is worse than going. I am willing to pack up and get off immediately. We had a very good meeting last night. Mr. [Henry Clay] Trumbull said perhaps I would be permitted to hold this place. I think, however, we shall spend another Sabbath in the place. We have at last been relieved and are thus far started on our way to Virginia. We received orders by express from Jacksonville Saturday morning to get ready to move immediately. We were to be relieved by the 17th Connecticut. They were to be sent as soon as transportation could be furnished. We might expect them immediately. We were to be taken [in the same] boat that brought them from Jacksonville and were not to delay it longer than was necessary. We immediately set to work to get ready. Just before night, the steamer with the 17th appeared off the bar but the tide was falling and it was too late to get in that night. They came in at 6 o’clock the next morning Sunday. We were in hopes they would not come until Sunday night or Monday morning so as to give us a Sabbath of quiet but we were not allowed it. But it was impossible to get away that day. I had to work with all my might all day getting everything in shape for my successors. We had no service through the day. Every man’s time was taken up in getting ready for a move. The order was to take as little personal baggage as possible so that a great deal was left behind. In the evening we had service. 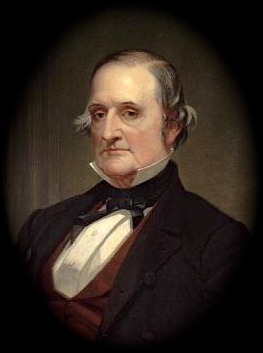 Mr. [Henry Clay] Trumbull preached to a very crowded house. A good many of the 17th [Connecticut] came in. They were all day getting their baggage off the boat, therefore we could do nothing toward getting ours on. Monday morning we commenced to get our stuff on. We left at 4 in the afternoon. I must say that I have left no place since we came into the service with as many regrets as I did St. Augustine. The time we had spent there had passed very pleasantly. We had formed many pleasant associates and it was with regrets we left them. We know that in bidding goodbye to St. Augustine we were bidding goodbye to all the comforts of home and civilization that we had been enjoying — that we were soon to be soldiering again in the rough — but from that we would not shrink. We could not expect to be permitted at all times to enjoy such comforts — such was not what we enlisted for. Never a regiment left St. Augustine with as many friends as did the 10th — both Union and Secesh liked us much. They pretty much all turned out to see us off. I assure you not a few tears were shed. Although I regret much to leave the kind friends, I shed no tears. Annie Foster — Mr. Foster’s little girl (who with his family boarded at Miss [Sara Ann] Mather’s) cried as though her head would break. She is a dear little girl. Miss Mather ¹ felt very sorry to have us leave. I have promised to keep her informed of our movements. She says she will answer if it is not more than a few lines. I think I shall value her as a correspondent. A short time ago she told me to give you her regards. She expects to go North this summer and if possible she has promised to call on you. I know you would prize the acquaintance highly. She is a noble woman. You would like Miss Perit also. She was a niece of the late Pelatiah Perit. Although we have bid adieu to St. Augustine, its delightful climate and kind friends, still I trust not forever, if my life and health is spared to see the close of this war. I anticipate a pleasant time at some future day. I think it would be quite as pleasant to take a trip down here some winter and spend a little while as to go to Niagara in the summer. The 17th [Connecticut] talk as though they expected to stay out their time of service there but I can assure you that they will have to carry themselves straighter than they commenced if they stay long. I think they are a pretty hard set [and] will not suit the people at St. Augustine very well. They came there with the idea that they were something — seen everything and we nothing. Were much surprised to hear that we had seen any active service. I was very glad to meet Oliver Ingersole. I found him just the same as ever. I had a long talk with him. He likes soldiering very well — wished he had been in service long enough to re-enlist. He would go in the 10th [Connecticut. Said he] could never re-enlist in the 17th. We left St. Augustine a little after four Monday afternoon. The weather was fine. We were on board a propeller [steamer]. We made fine headway until about 12 o’clock when we were struck by a squall. It rained a considerable during the night from 12 at night until 12 the next day. The wind continued to blow very heavy so that we made very slow progress. After that the wind died down somewhat so that came along pretty well. We got into the [Hilton] Head at 9 o’clock. Col. [John L.] Otis and I immediately reported our arrival at Dept. Headquarters for orders. We received none however, but were told to report this morning at nine which we did. Got orders to transfer men and baggage to the Steamer Mary Boardman and report at Fortress Monroe to Gen. Butler. The Mary Boardman had to coal and water and came up to Beaufort to do so. The Captain did not want to take us. He thought that while he came up here to coal, we would be put on some other vessel but this is where he was mistaken for we followed him right up. In the morning we will lie along side and make the transfer. We shall have fine accommodations [on the Mary Boardman]. On the boat we came from St. Augustine in, we had no accommodations at all. The Col. very kindly offered me living in their state room which is the only decent room on the boat. I accepted the first night but last night I laid on the cabin floor. The Col. brought his family with him. His boy was so sick that he was afraid he should not be able to bring them but at last the Dr. decided he might be moved. I don’t think it has hurt him, although he was very seasick most of the way. He had been very sick for a number of days before we started with dysentery. Tonight we have fine quarters on this boat. The Chaplain, Quartermaster, and myself are the only ones who came aboard. The chaplain and I have been improving the time in writing while we have it quiet. I don’t think I shall write much longer, however, as it is 12 o’clock. Since coming up here, I have met Joe Hyde. I had no idea of meeting him. He is looking fine. He has been appointed Post Treasurer. His regiment is doing provost duty in town. Henry is on recruiting service over in Lady’s Island [South Carolina]. When we reached the Head, we found the Monohanset had gone to St. Augustine and carried our mail which we had been looking for for the last two weeks. We were much disappointed as we were in hopes of hearing from home. Fortunately another boat came in with a mail today which relieved us somewhat. I received three letters — one from you mailed the 14th, one from Louisa and one from Josephus. I assure you they quite relieve me. I am in hopes that we may get the mail that went to St. Augustine before we leave. I am afraid, however, the Monohanset will not get back in time. However, one of our officers and several of the men left there who will bring it in by the first boat. Fortunately our express had not been sent. I got my valise today. Everything is very nice. I shall, however, probably send most of these things home from Fortress Monroe, send my trunk [and] keep only my valise with what articles are absolutely necessary. If we have time to get to anyplace, it will be but little trouble to have them sent to me. We shall have to go light and if they are sent home, they will be safe but I must stop for the night and turn in. I begin to say I think I have done very well. I will finish tomorrow. Good night. We are just through making the transfer from the Tappannock to the Mary Boardman and will probably soon be underway for the Head. We are pretty well fixed and I think we shall have a good run. I saw Henry Hyde today. He is a 1st Lieut. 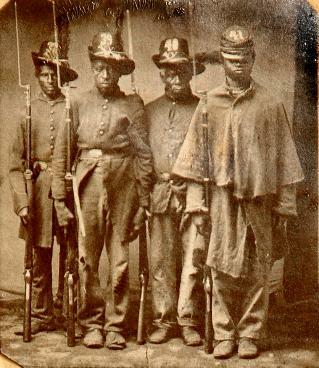 in 1st South 33d U.S. [Colored Troops] Henry is looking fine. He is recruiting at present. I intended calling on some of the Ladies here at Beaufort but I did not get at it. There is some at the Head I want to see. I hope we shall stop there an hour or two. Col. Otis’ little boy is improving. He will have things much more comfortable on this boat than on the other. Hilton Head. It is now 9 o’clock. We shall probably go to sea in the course of an hour. The weather is fine and I hope we shall have a pleasant trip. My clothes that came in my valise I like very much. They fit nicely. I only wish 1st Lieut. straps had been put on the coat instead of 2nd. I shall probably send the coat home from Fortress Monroe. Shall keep only my valise with what things are absolutely necessary. You speak of liking to live near the ocean. That would suit me exactly. I think if we live until after the war is over, we shall have to go to Florida. How do you think you would like that? Those handkerchiefs I fear I shall not receive. I may, however, as Lieut. Palmer is still at St. Augustine and will if he has sense enough to bring whatever mail is for us. My photographs went with a rush. I wish I had more of them although they don’t suit me. I will send you several pictures in this of different ones of the officers. Charles McCann and Alexander Ferris ² should be drummed out of the army. A man that will vote a Copperhead ticket is not worthy of an American soldier. I rejoice to hear that mother is gradually improving. Ever grant that she may entirely recover. We passed Hatteras early this morning and must now be getting pretty well on towards Cape Henry. We shall probably reach Fortress Monroe before night. Most of the way we have had it very pleasant with the exceptions of last night when it rolled very heavy. Had to lay bracing head and foot to lay still in the bunks. We have just had a service on deck. Mr. Brinkerhoff assisted Mr. Trumbull. He made some very good remarks. We are to have another service this afternoon. Since starting to come North, I have thought more about you and Bennie and of home than usual. You have been in my thoughts constantly. Now I long to see you and to enjoy the peace and quiet of home. I had expected to enjoy a few days of such this spring but with Virginia in prospect, I have bid goodbye to all such hopes for the present. Still I have quite a faith to believe I shall yet be permitted to live to reach home. I have faith to believe this war will soon be over, that those who live will when this year rolls away be permitted to return to their homes in peace. But before that time has got to be some hard fighting. A good many lives must be sacrificed but I feel that the cause is worth all that it has or will cost. We shall be a better nation for the ordeal through which we have passed. It will be settled so that we need have no fears that our children will have to settle it again. If we lay down our lives in such a cause, we can have the satisfaction of knowing they were sacrificed in a good cause and for the good of the country. We shall probably get orders at Fortress Monroe either to go to Yorktown or to Annapolis. I hope it is the latter place. If we get time, I shall hope to see some of the people from home. It is nearly dinner time. I have not missed a meal since we started although I have not felt at all well. I have not been much seasick, however. We can feel quite a perceptible change in the atmosphere between St. Augustine and here. It is getting to be quite cool this afternoon. I hope we shall not have any more cold weather. It is getting so late in the season that I hardly think we shall although we may have some cold storms yet. I dread being out nights and in the wet more than anything else. 8:30 P.M. We have just dropped anchor in Hampton Roads. It is possible we shall know our destiny tonight as I think the Colonel intends to report ashore tonight for orders. The chaplain just went out of the cabin with his overcoat on his arm. I think he intends going with the Colonel. It is raining a little. The Col. has just come down. He decided not to report until morning — a very sensible conclusion, I think. He would probably find no one to report to if he should get ashore. The chaplain has come down and gone to making lemonade. I think it will be a great improvement to the mineral water we have on the boat. I have longed for a drink of good water. The water on these boats is all condensed. We get it hot. It is very good if allowed to stand a week or two. It improves decidedly with age. I am in hopes of a good night’s sleep tonight as we are lying quietly at anchor. By the time I get this letter finished it will be one of my old fashioned kind. This makes five sheets. I will finish in the morning that it may go up on the boat tomorrow night. ² Alexander Ferris and Charles W. McCann were both enlisted men in Co. 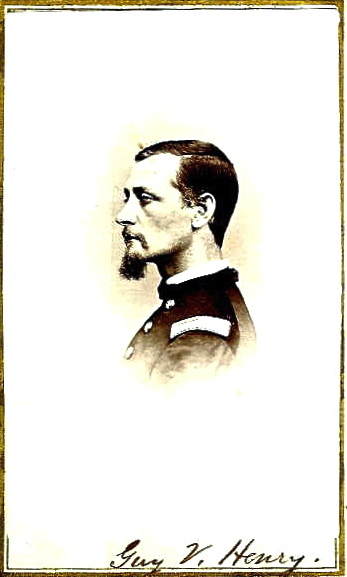 I, 10th Connecticut Infantry. Alexander and Charles undoubtedly suffered abuse from their comrades for voting with the Copperheads. 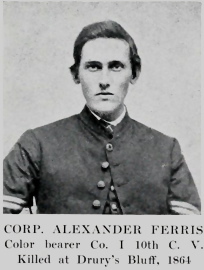 Corp. Ferris surely atoned for his actions in the eyes of the others soldiers, however, when he paid the ultimate sacrifice at Drury’s Bluff.